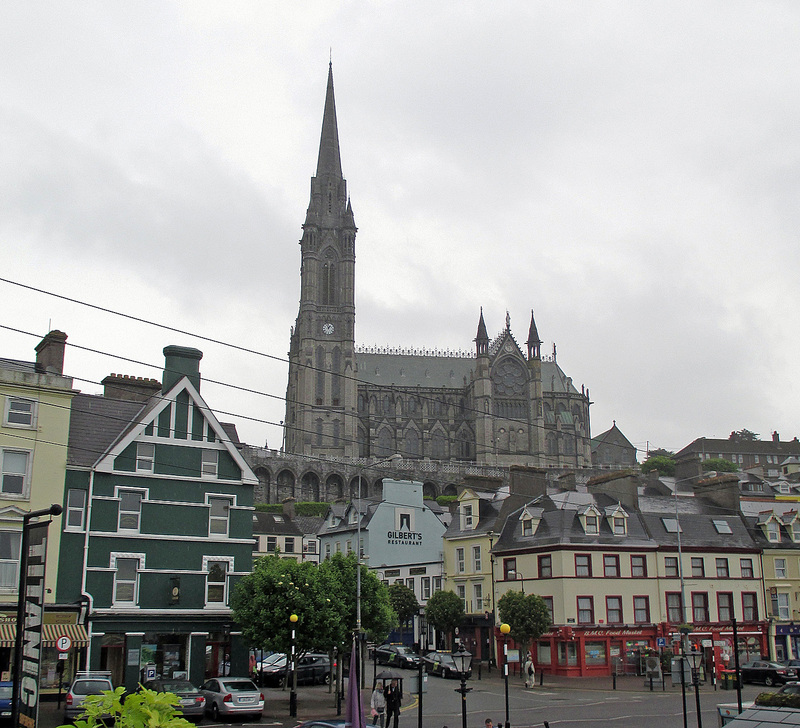 On my third day in Cork I embarked on the last of my three tours booked through Paddywagon Tours. I'm sorry to say that in this case last was least. Even so, I hope you'll enjoy those stories as much as Dottore Gianni and I hope you've enjoyed parts I & II! Monday, 19 May 2014: After a breakfast elongated by incredibly poor service, a disappointing meal consisting of sophisticatedly spiced scrambled eggs (I like mine simple, not posh) and awful sausage, I was more than ready to leave the hotel and head out on a tour of Blarney Castle and Cobh (pronounced Cove), the first to the north of Cork, the second to the southeast. As already noted above, it was, for the most part, very disappointing. I arrived at the appointed place to meet the bus, what seems to be Paddywagon HQ in Cork. I found myself the only person there, and spoke to the nice fellow in charge, telling him that I had booked this tour back in March. He said something to the effect that the tour (and I use the word lightly) had changed since then. He didn't seem to have a record of my booking, but fortunately I did - ALWAYS bring proof, dear readers! Then he stopped talking, played some awful pop music, and drove on until we passed a walled estate. He then resumed his narrative, telling us it had been a British estate, that there were many more of these in Ireland, and that the reason for the wall was to keep the local Irish out. 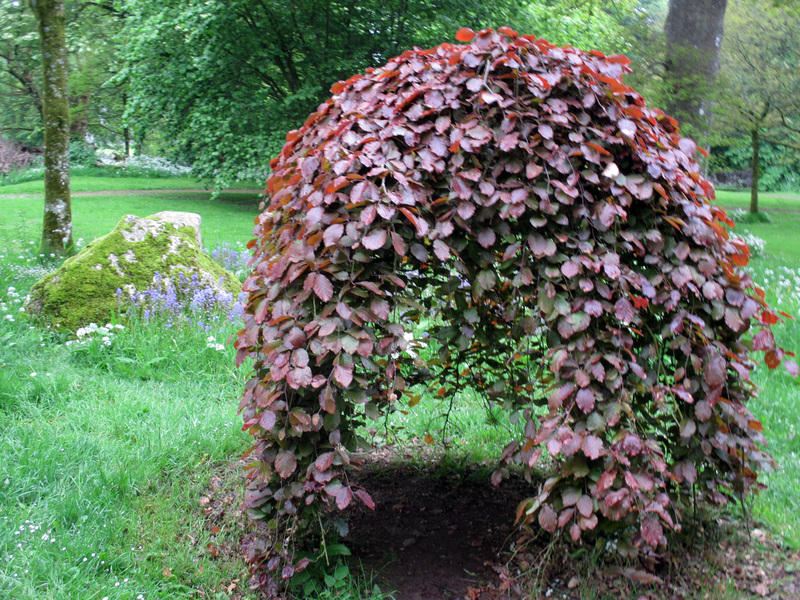 Especially during and after the famine, risking all, some intrepid Irish climbed over the wall and stole from the estate, there being no food for them to eat outside its walls. If caught, they were sent to Tasmania (!) sometimes for life; this punishment for as little as a loaf of bread to feed their families. Worse than Les Miserables. (The driver didn't speak that last sentence, Dottore Gianni drew the analogy.) After more awful music he spoke again, telling us of a martello tower in the vicinity - we were not shown it - and defined such towers as being built by the British in the Napoleonic era as watchtowers for any French that might land, wanting to use Ireland as a back door for gaining access to England. 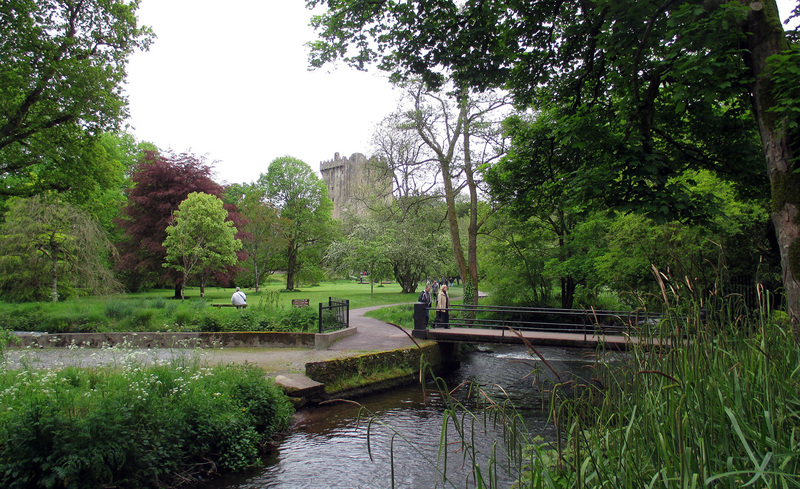 Some of this information was interesting, if offered in a fitful fashion, but none of it was about our first stop, Blarney Castle. 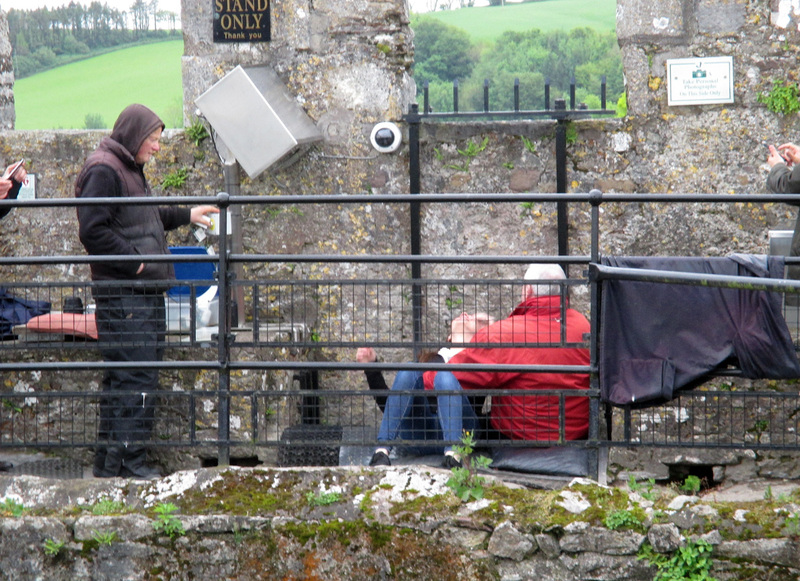 As we were pulling into a lot for buses and coaches at the Blarney Woollen Mills (in which was located a gigantic tourist shop, featuring a lot of woolen goods along with a lot of trash, a restaurant and a pub. He let us out, saying as he did so that he would pick us up in three hours. Thus far our trip seemed more a taxi service than a tour. 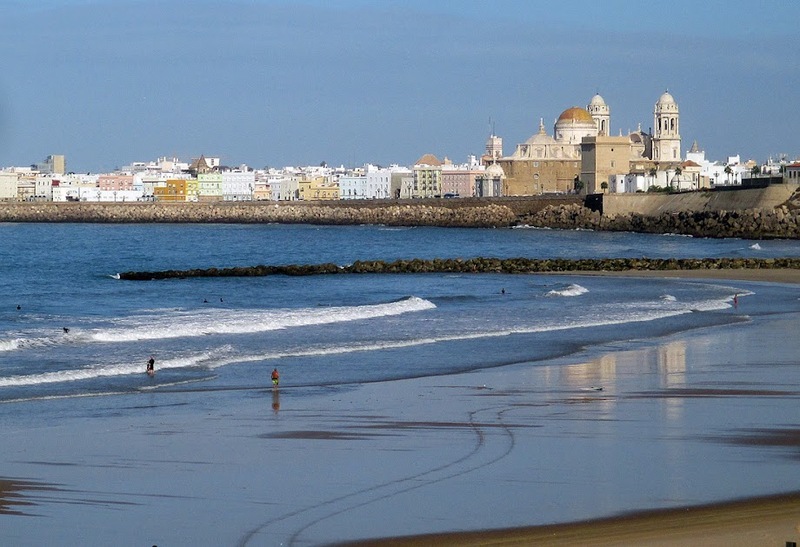 The three young people headed out together, I on my own - it took me a moment to find my way to the castle grounds, as our driver had not shared that either, and the way was not well marked. 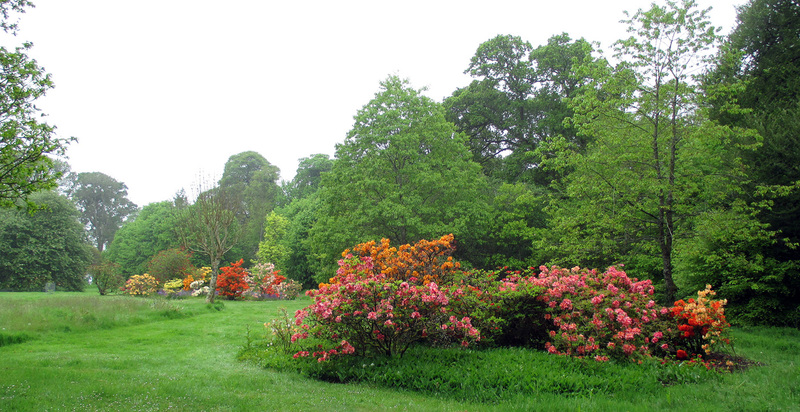 Once on the castle grounds, things picked up a bit, for even on a day that is not so much drizzly as misty, the gardens show themselves well, and the castle is a dramatic looking wreck. From what I understand the stone version of the castle was built in 1210, after a wood version on the same site burned down. 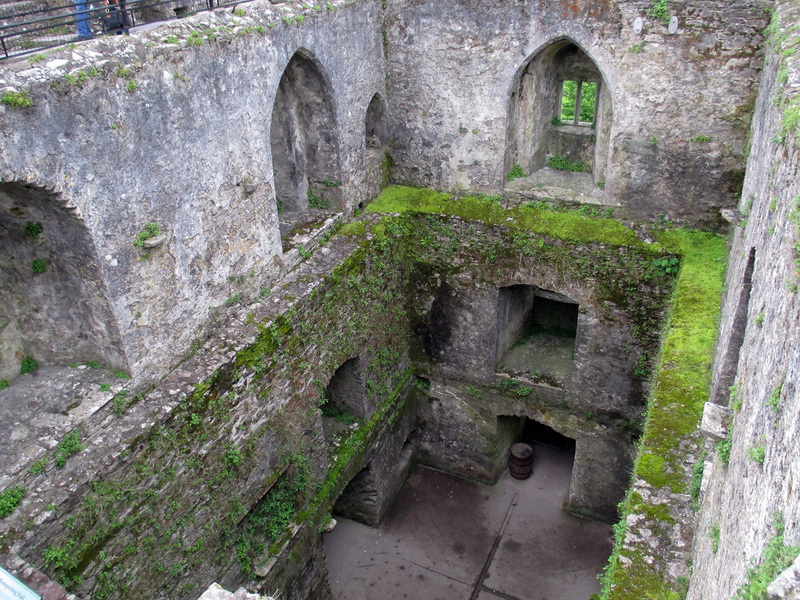 There were several renovations, but the main structure that one sees today dates from the fourteenth century. Once up one must get back down, and apart from a suicidal leap, that means negotiating the same set of narrow curving steps down the tower. It was slower going down than going up, because a youngish couple was conducting an elderly lady (yes, even older than Dottore Gianni) down the steps who was clearly afraid of them - proceeding inch by inch, it seemed to me. They kept encouraging her - "You see, you made it! 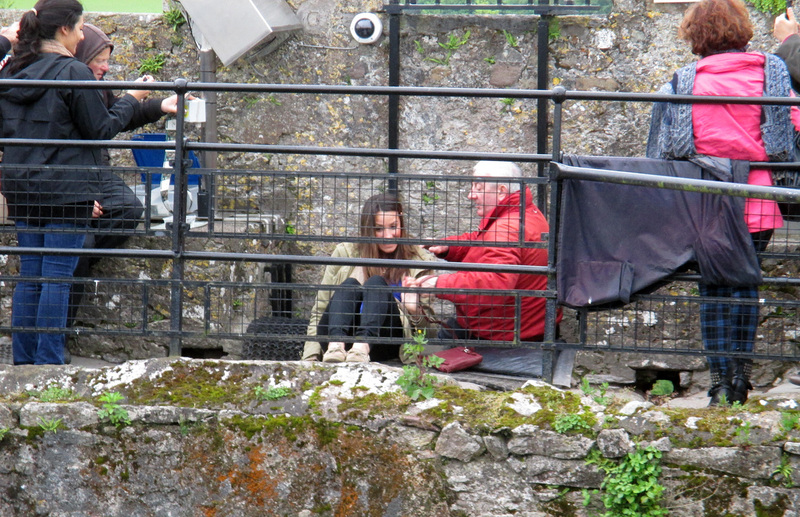 You kissed the Blarney Stone!" 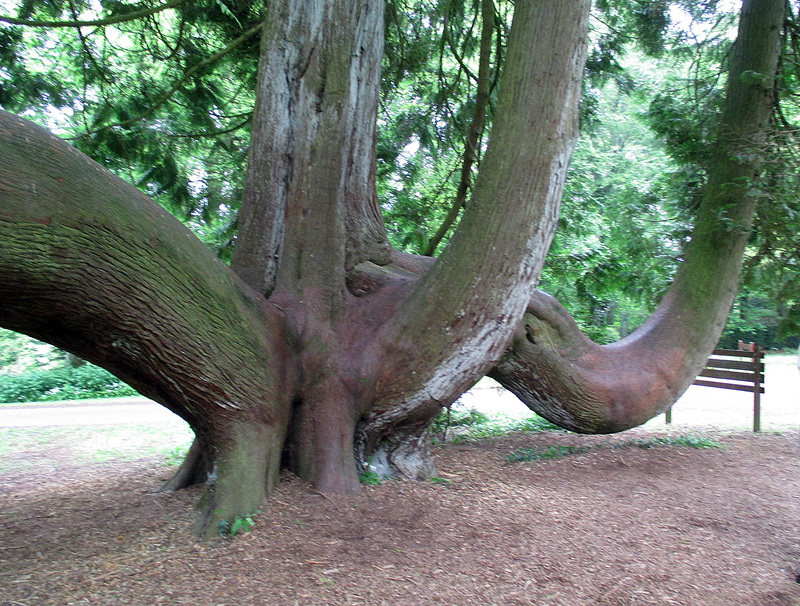 but she was clearly unhappy as she inched her way down each step, trembling all the way. What the journey upward must have been like, only the gods know. Speaking of gods, the origin of kissing the Stone goes far back in time - though indeed origin theories abound, so who knows which is right? I'll tell the one Dottore Gianni likes best, about Cormac MacCarthy, an early Laird of the castle who had to argue his case in a lawsuit, and was very worried he'd not have the eloquence to win. So he invoked the goddess Cliodhna, or Cleena, and she, pleased with his attention to her, told him to kiss the first stone he saw on his way to the court on the morning of the lawsuit. He did, and won the lawsuit, and was so pleased he had the stone placed in his castle. Thus the power of the Stone of Eloquence, as the Blarney Stone is also called (once in a blue moon I imagine) was founded. Interestingly, Cliodhna is also the Queen of the Banshees, who are known for chilling screeches, and associated with deaths, usually violent ones. I suppose if there was a goddess Cormac thought he should please or at least appease, she'd have been the one! 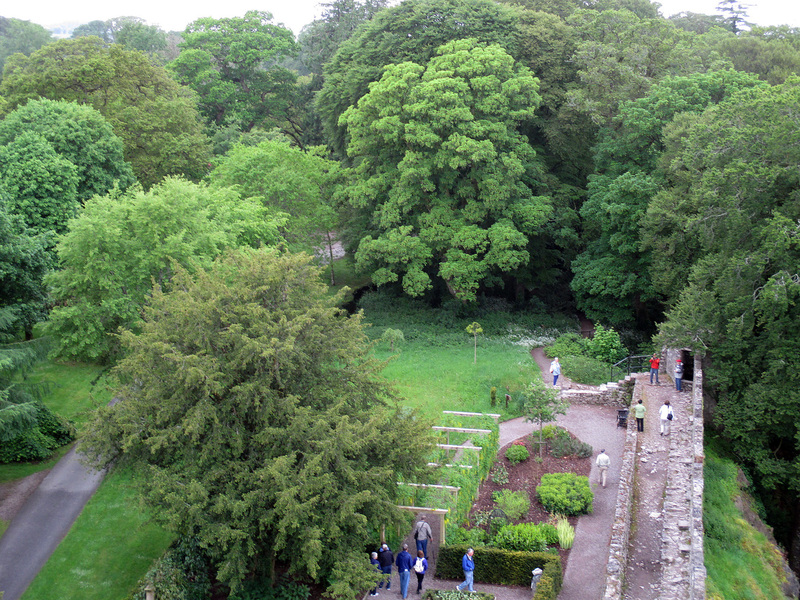 So how did the word "blarney" come about? Well, it seems Queen Elizabeth I had a lot of difficulty dealing with the Irish in general and one fellow, the Lord of Blarney, in particular. Whenever she ordered him to do something he gave her elaborate explanations as to why it couldn't be done. Finally tired of all his talk, she said, "It's all blarney! What he says he never means!" 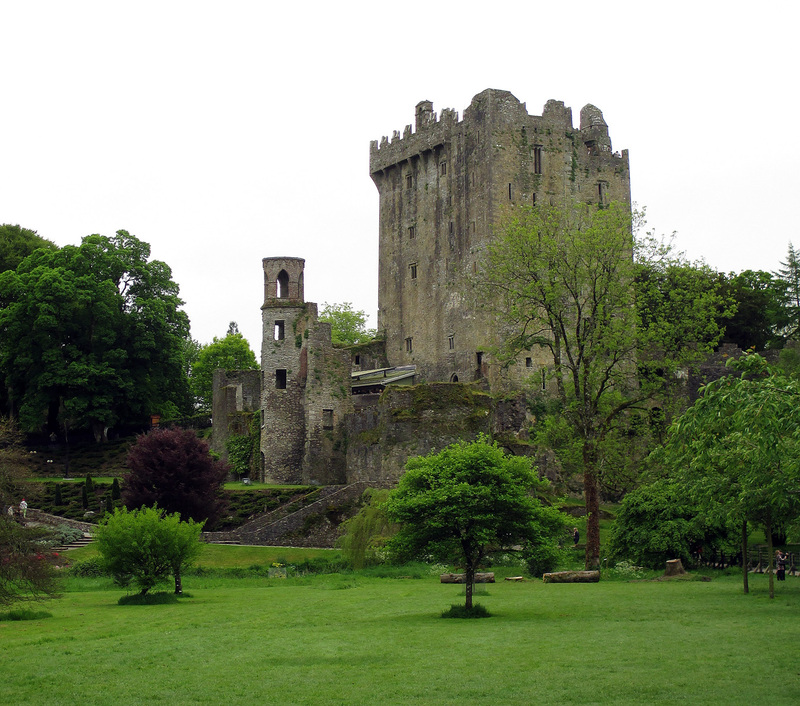 Dottore Gianni's favorite saying about the Blarney Stone and the gift of gab was stated by one who was more gifted with gab than most, George Bernard Shaw. He claimed he did not need to increase his eloquence by kissing the Stone, adding that, "my natural gifts in that direction [are] sufficient, if not somewhat excessive." 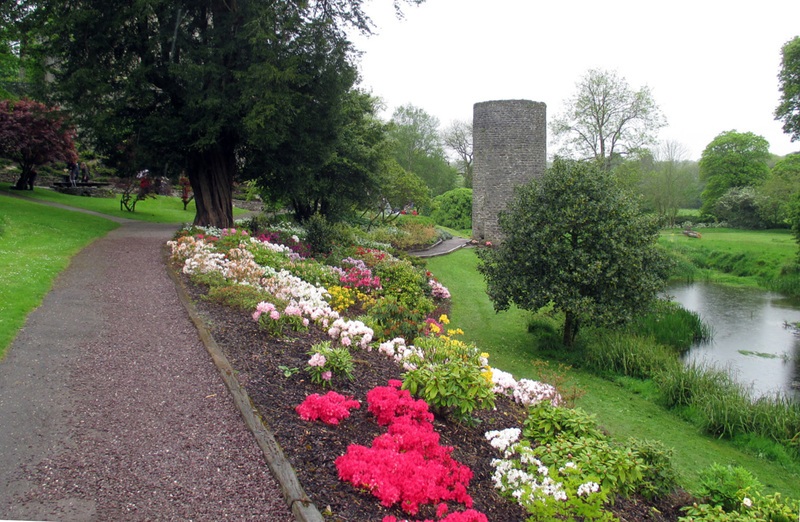 If ever anyone asks me why I didn't kiss the Stone, that's what I'll tell them - and if you don't believe that "my natural gifts are sufficient, if not somewhat excessive," why just read my blog...it's ALL blarney! 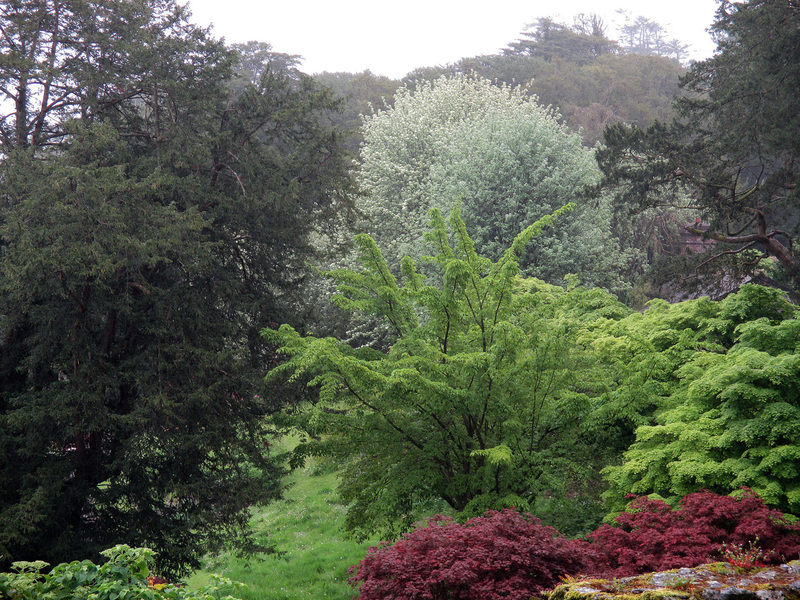 The mist/drizzle did not let up on this gray day, but as I've already written, the gardens look good rain or shine. 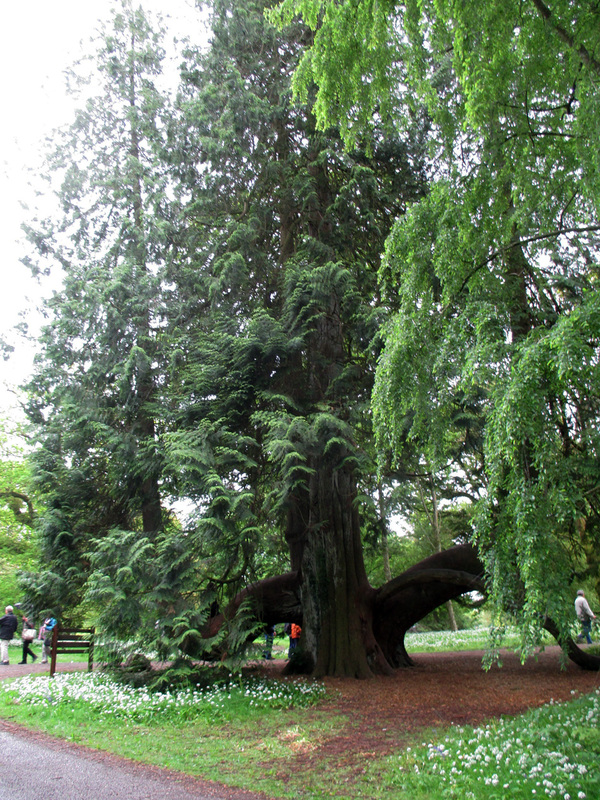 I had a nice walk through some of them but they are extensive, and people with the entire day to spend there (in more clement weather) can embark on much longer walks than I was able to. I began a woods walk along (though not always in sight of) the river, but while I likely had plenty of time to complete it the drizzle did not let up, the ground was muddy and slippery in spots, so I gave it up. 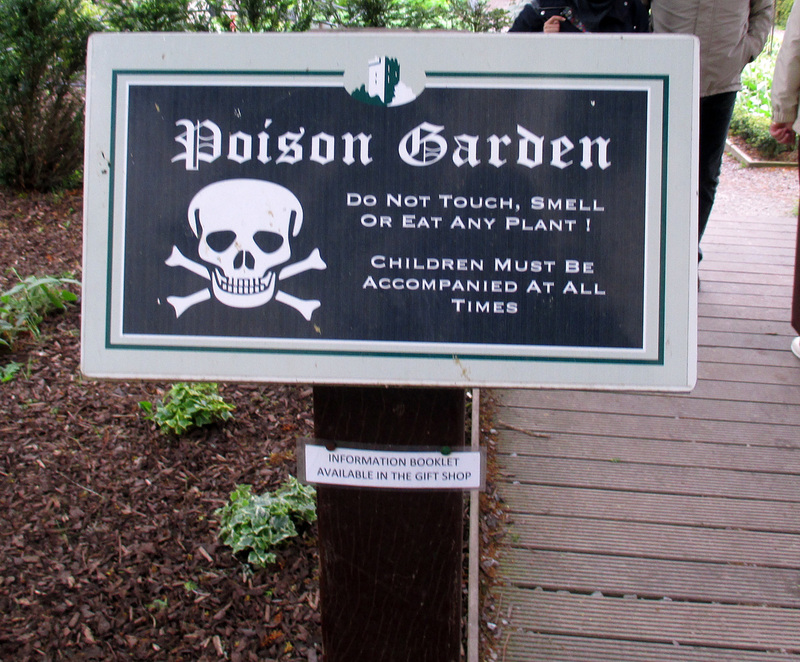 because of the plants themselves, but because it was called the Poison Garden! This one is right next to a section of ramparts that survive from the Medieval structure - you can walk along those if you like, but they don't extend very far. Many of the poisons seem right out of Shakespeare: wormwood, henbane, deadly nightshade, hellebore, rue and others, but a few seem to have been placed there in a more twenty-first century context: marijuana and tobacco, for instance. there was plenty of opportunity. At the edge of the castle grounds there were several small stands, and to get out of the place you had to insinuate your way through a very crowded gift store. Once back in the area where we were to be met I decided to have a long look inside the Blarney Woollen Mills. I didn't really want to, but nor did I want lunch yet, and shopping seemed the only alternative. Good god it was expensive! There were some very pretty sweaters, tweed jackets and caps...as I mentioned early in the post it was very large. I became bored sooner than I'd thought I would, but noticed that at the pub there was an outdoor section that was covered, and a few tables available. I wanted a pint, but I was worried that nature might call while we were on some desolate stretch of road, so I bought a small cuppa tea and sat sipping that, finishing only half of it for safety, until I saw our van approach. 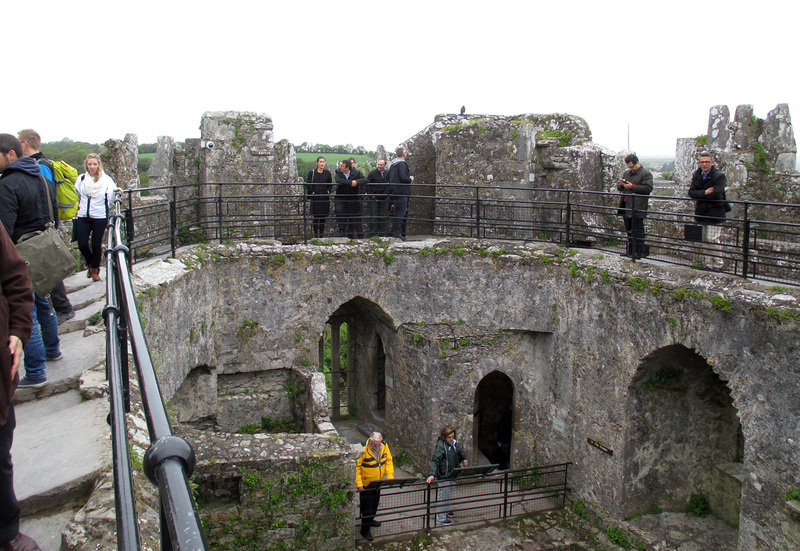 I found it interesting and not a little frustrating that of the three tours I took with Paddywagon the time at Blarney was the longest period of time I was given, in the place that least interested me. 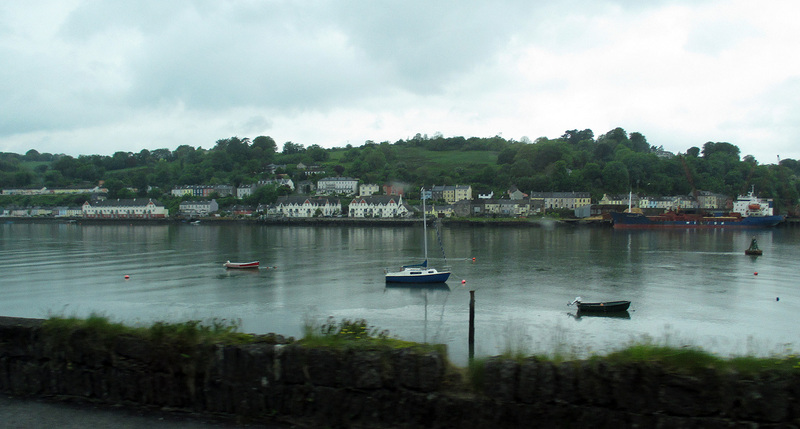 Our next stop was Cobh, but on the way to it one of the two young men in the van with me and the young woman began to grow agitated, getting up and walked up and down the tiny aisle. I wasn't sure what was happening, but he finally spoke to the driver. We were just outside of Cobh right now, and the driver stopped the van, and said, "I can't wait for you here - I'll pick you up after I've dropped the others off." The poor fellow had not just felt nature's call, but was about to succumb to it. A lesson for us all. 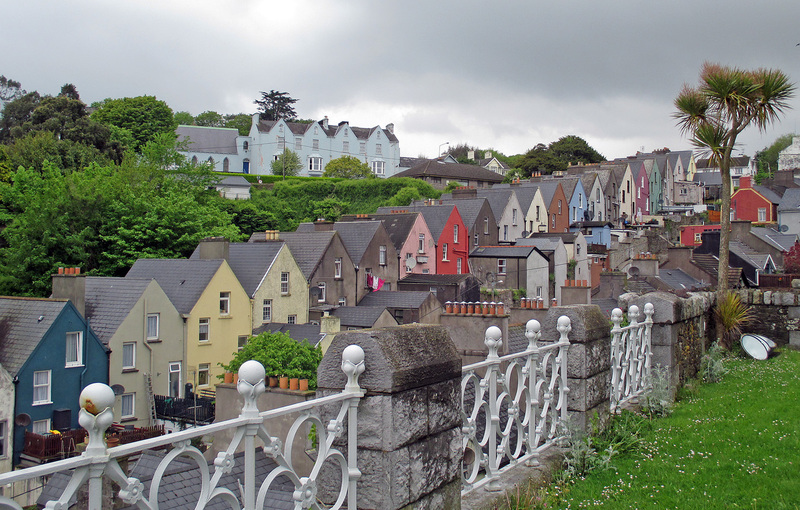 Cobh is a substantial town, not completely uninteresting, but next to Killarney the day before, was the dullest urban area I visited in Ireland. Two hours there...oi!...but part of the time could be consumed at lunch (drumroll! pardon the pun). I stepped out of the van, found that it was raining a bit harder than before, so I asked our driver, who seemed to be in quite a rush (to pick up the fellow who'd nearly be-pissed himself? ), where there might be a good place to eat. He paused for a moment, then said, "I hear this place is good." "This place" was the Titanic Bar and Grill, right next to where the van had parked, in front of something called the Titanic Experience. The TITANIC Experience??? 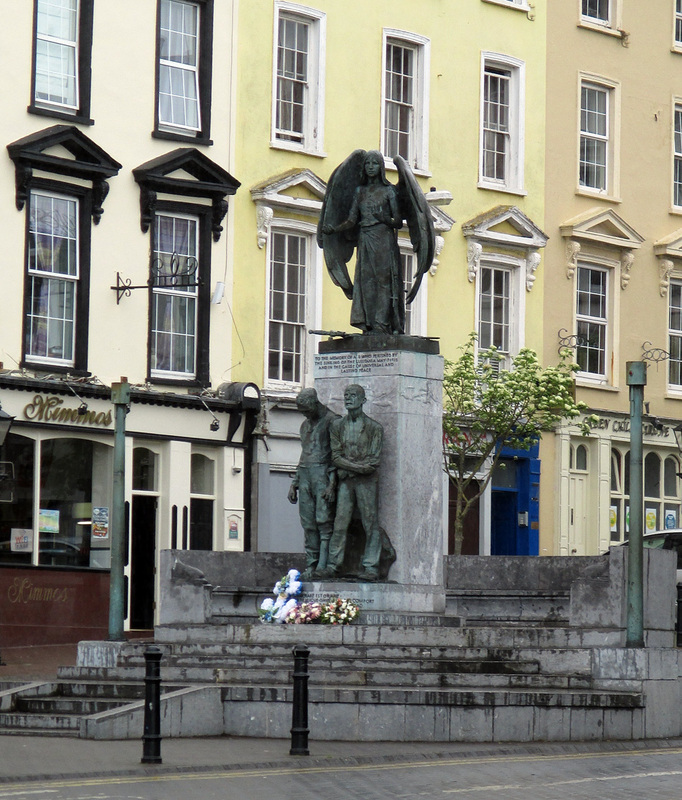 It turns out Cobh lives on the story of the Titanic, as Cobh was the last port it sailed from before its fateful meeting with an iceberg. Of course this is where we'd be dropped off, just in front of the most exploitative "experience" in town. 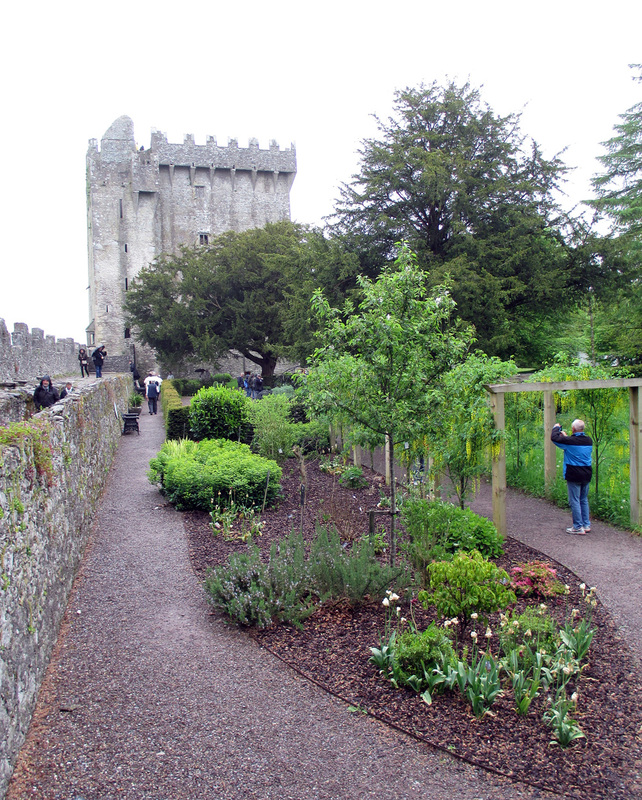 I had no intention of going through - admission was not covered by the rather rather expensive price of our tour, though it had been at Blarney Castle. I was once upon a time fascinated by the story of the sinking of the Titanic. As a teen I read A Night to Remember and then saw the film version with Clifford Webb and a distinguished cast. I was moved, and then I moved on - that experience was enough for me. God knows the Broadway musical held no interest for me (nor for most people, as it didn't last long). There is a very funny story about tech rehearsals of Titanic!, for that was the musical's name - clever they should think of that, yes? It seems that, try as they may, for a long time the technicians couldn't get the ship on stage...to sink! Curtain! I DID see the film with DiCaprio, Winslet and co - it was good, but really, any more re the Titanic interested me not - and Dottore Gianni not a jot! it to be served with the sauce on the side. I also asked if I could return the white wine, because, if I was to have a burger it was going to be accompanied by beer. She said yes and I asked her if they served a local brew. 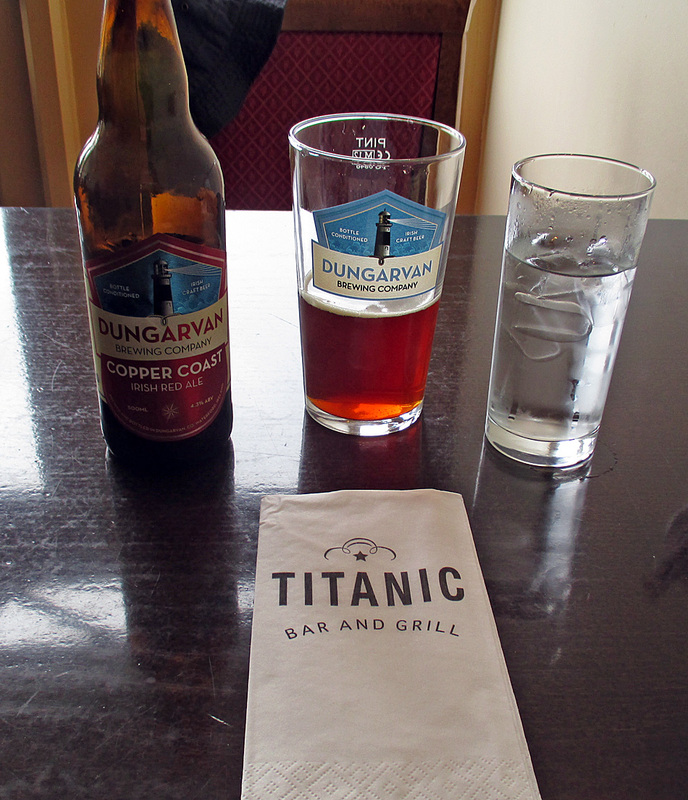 She knew not, but went to the bar to ask, and they came up with one, a red ale which turned out to be the only bad beer experience I had in Ireland. I experienced a sort of sinking feeling as I sipped it (sorry!). The service pretty much stopped with the delivery of the burger, which was slathered with the sauce I'd asked for on the side. I didn't want to stay any longer in the place than I had to, as I was sure it would be a titanic waste of my time (again, sorry), so instead of asking for it to be taken back I spent a few minutes scraping as much of the sauce as possible off the burger and bun, but it seemed ingrained. The meat, I believe, would have been quite good on its own, but the sauce was as vile as I'd guessed, and the meal was edible only, no more - and that's putting it politely. I finally got the server over and asked for the check, paid, and visited the Gents. 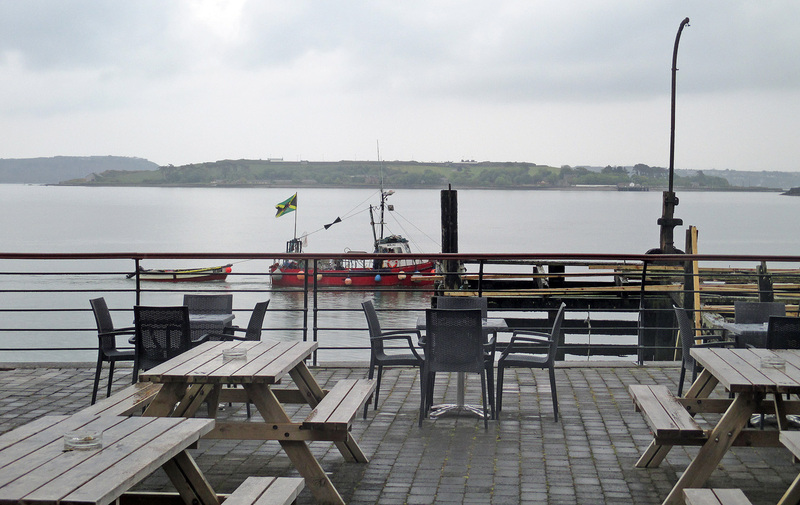 On my way out I asked the bartender where I might find the Cobh Experience, another attraction in town where I felt I could at least learn something about the history of the city. He didn't know where it was (or did he, but was sworn to secrecy in order to push customers toward the Titanic Experience instead?). On exiting I saw the sky had brightened somewhat, not to the point of sunshine, but at least I'd no longer have to fear drowning (ouch! sorry!). 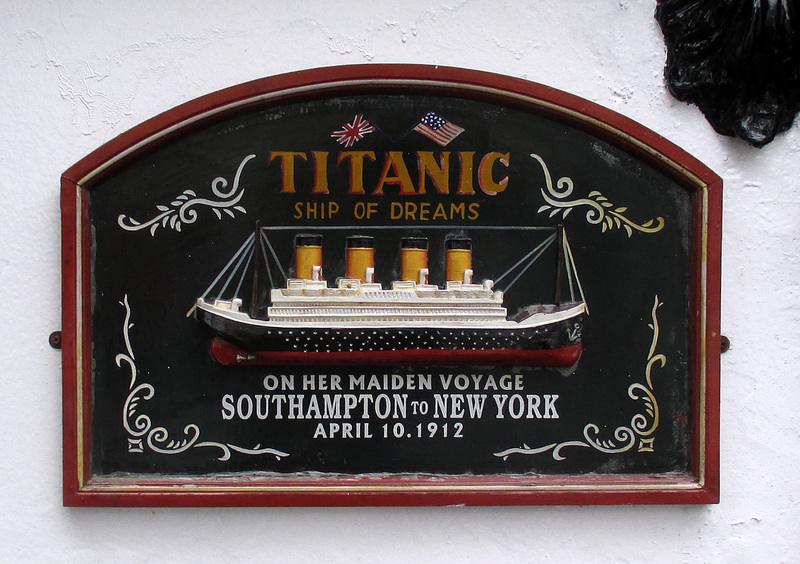 I thought I might find a sign for the Cobh Experience as we were in the dead center of the town. No such luck. 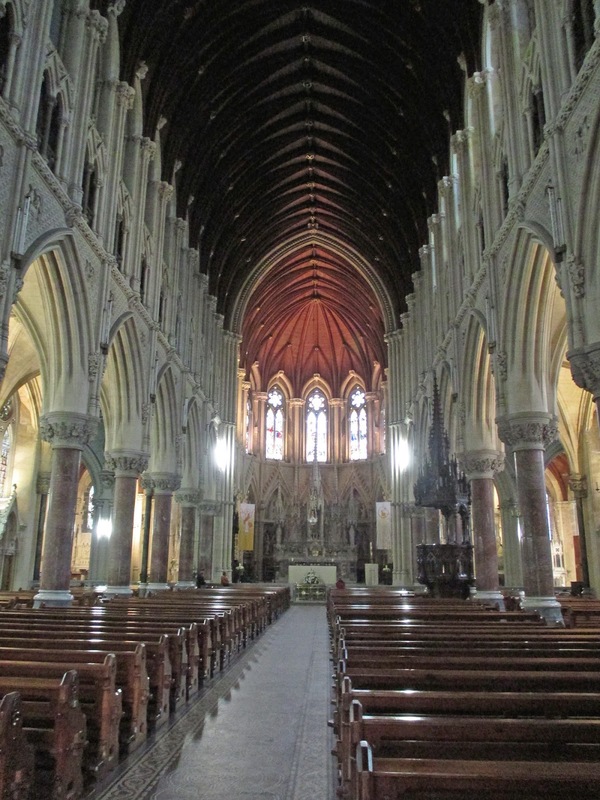 So instead I climbed a steep hill to a place I was pretty sure I'd like, St Colman's Cathedral, a powerful looking Neo-Gothic church built in the nineteenth century, set impressively at the highest point in town. I did like it! Very much. 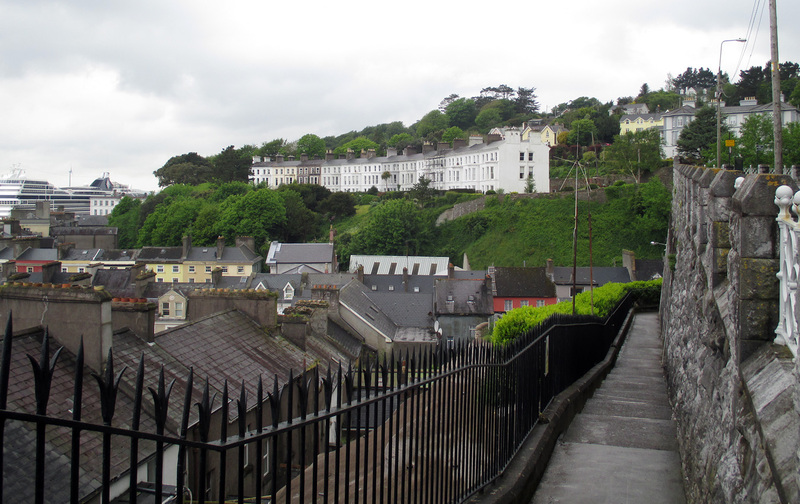 And the views from it almost placed Cobh in a different, at least brighter, light for me...almost. But I'd never kill an entire hour (which is how much time I had left) in the St Colman's. at the river if the benches hadn't been soaked. I walked along the High Street (set at the lowest point in town for some reason) and found along it shop after shop after bar after restaurant some reference or other to the Titanic. "Souvenirs from the Titanic on sale HERE!" I finally found a gift shop whose focus was not entirely Titanic, but it didn't hold my attention for long. I saw a pub where traditional music was being played, but listening for a moment or two, and seeing that there was nearly no one inside listening to it - rightly so, as it was quite awful - I decided against a pint. I was also worried about that call of nature, more so after the incident of the young man in the van described above. Interestingly, after all the fuss about the Titanic, another historical ship sank not far offshore from Cobh - the Lusitania. 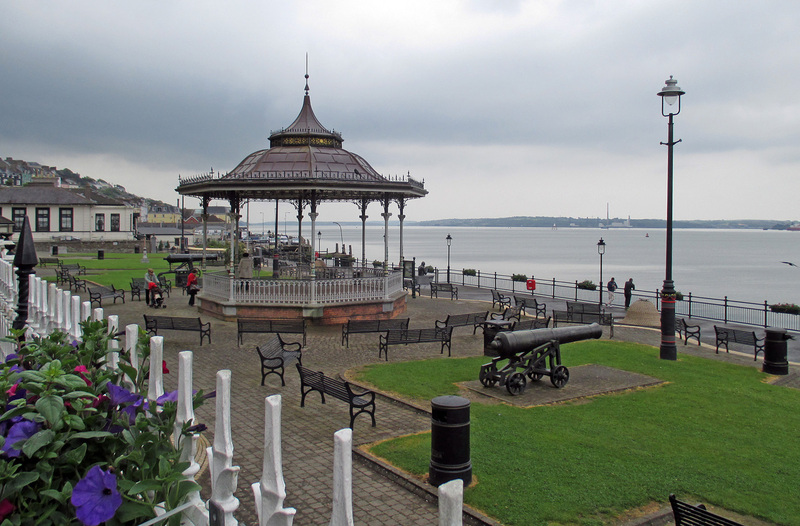 At the time Cobh was known as Queenstown (changed to Cobh when Ireland broke from England and became a republic), and many of the survivors were brought here and hospitalized. Only one statue, but a rather nice one, is devoted to that disaster, which was a prime catalyst for the entry of the U.S. into the First World War. the Titanic Experience to sing for her supper. 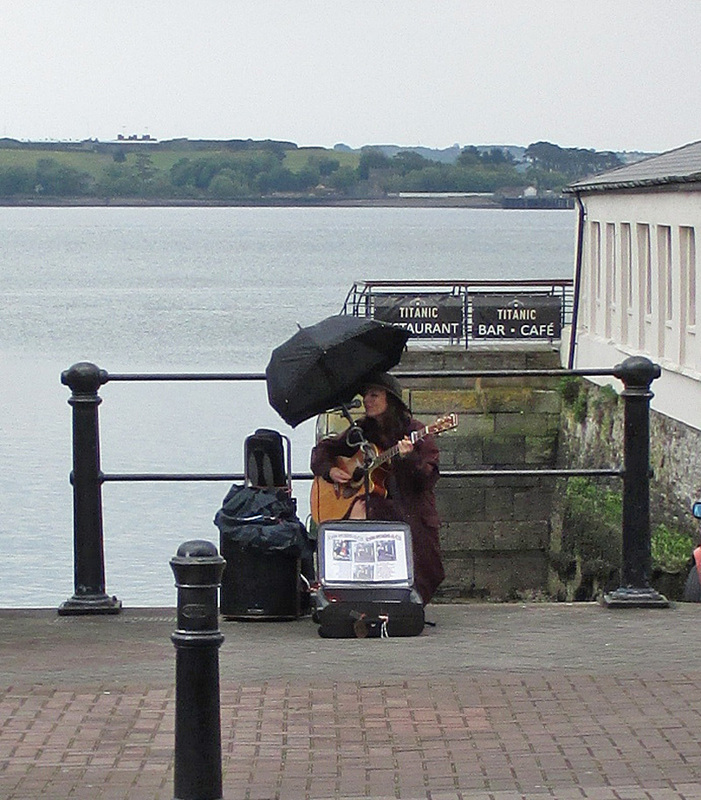 She cleverly managed to balance an umbrella over herself and her guitar, and was playing and singing ardently, the most, plaintive, mournful tunes imaginable. Her songs reminded me a bit of the music from a movie set in Dublin called Once, in which an Irish street musician and a girl from Eastern Europe meet - made into a musical after. I strolled on, but she was located very near where I was to meet the van, so I returned, listened for a bit, decided that sad as the music was it fit my mood, and put some money in her guitar case. And then, finally the van came, but our two young men were missing. The driver complained that he had more stops to make - now the trip seemed to have become less a taxi service than a local bus route! We waited for ten minutes, then the driver said he knew another place where they might be, took us up the hill through town, stopped at some nondescript spot and sure enough no one was there. He then took us on to the last stop on our tour. This is one that had been added since I had bought my ticket - a ticket to a Jameson distillery. A bit silly, as the main Jameson factory was up in Dublin, but why not put one near Cork instead? I like my Irish whisky, but had no interest in this tour. I had pretty much had it with today's outing in general and didn't want to extend it. So, two things happened. When the van pulled into the Jameson lot, we saw our two lost fellows! How had they got here, unless the driver took them? Hmmmm...they got on the bus, the girl got off to take the tour, and I took the opportunity to ask the driver if he was going back into Cork. He said, "Immediately." I told him I'd rather not do the Jameson tour, so the two young men and I rode back with him into Cork. This turned into perhaps the most interesting part of the day. Turns out the two fellows were from Austria, one now working in Switzerland for an IT company, the other working for the government in Vienna. The three of us and the driver got into a spirited talk about politics, then I branched off to chat with the fellow living in Vienna about that great city. Before we knew it we were back in Cork, all great pals! All, right, it had not been a good day. 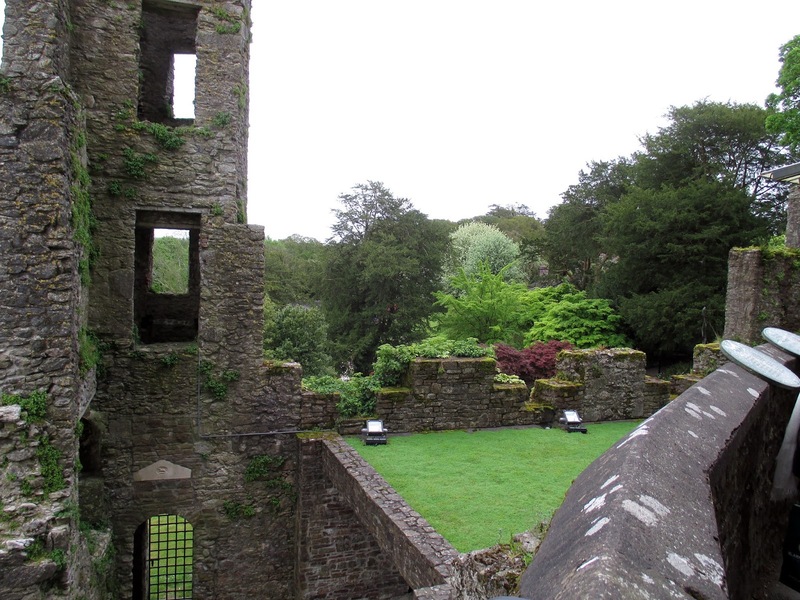 But I HAD seen Blarney (Dottore Gianni thinks I've written a good bit of blarney in this post), and thus far all the rest of my days in Ireland had been grand - and as it turned out all the rest of them would be as well! So stay tuned if you like - the next post tells the tale of my trip to the isle of Inishmore!